My stock-standard order at a Chinese restaurant is crispy Peking duck. Not only is it completely delicious, it’s something I would never think to make at home. Well, that’s until I saw Ocado’s half price Gressingham duck offer. I can never resist a bargain (aka cheapskate??) so I snapped one up immediately. But this led to the conundrum of what on earth to do with it. I had never cooked a whole duck before. Duck breasts once or twice but never the whole thing. I toyed with the idea of roasting it whole for a good old-fashioned British roast but dismissed that as too boring. I then thought about pulling it apart to make confit duck legs and slightly 1980’s duck breasts a l’orange but that seemed like far too much work. 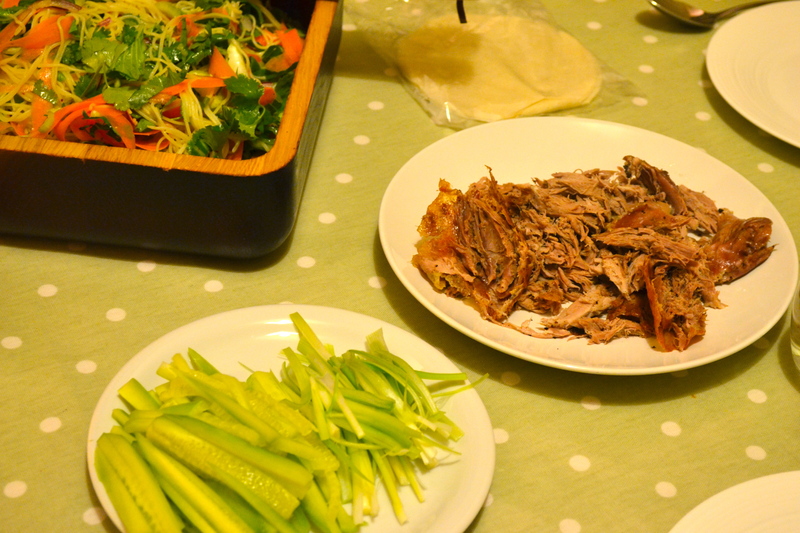 So instead I plumped for crispy Peking duck, which sounded like a much more fun option. When tucking into crispy duck at restaurants I always imagined there must be some magical technique behind the deliciousness. But it turns out it’s incredibly easy. You just need lots of Chinese 5 spice, long slow cooking, and a blast of heat at the end to get the skin all crispy and meat juicy and delicious. 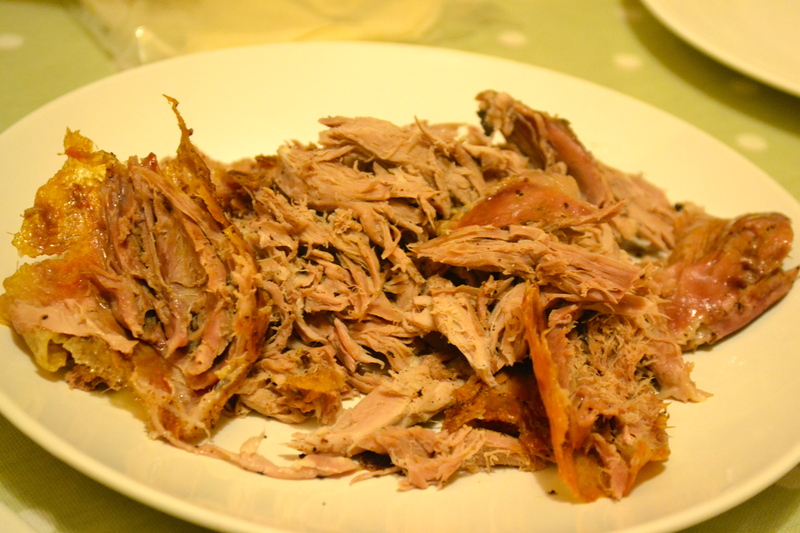 All you need to do is pop your duck in the oven, check on him occasionally to pour away the fat and juices that gather in the tin, and wait, salivating, for a couple of hours. The result exactly the same as restaurant-cooked crispy duck – meat so tender you can shred it with forks and delicious crispy skin. All in all a great way to impress people with minimal effort. 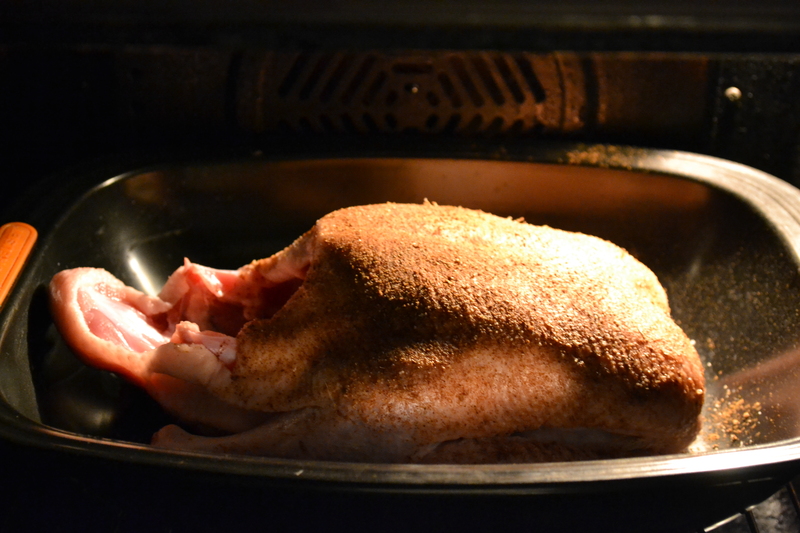 The only downside is your kitchen will smell like a roasted duck for days afterwards! Though perhaps that’s just if your extractor fan is broken like mine? 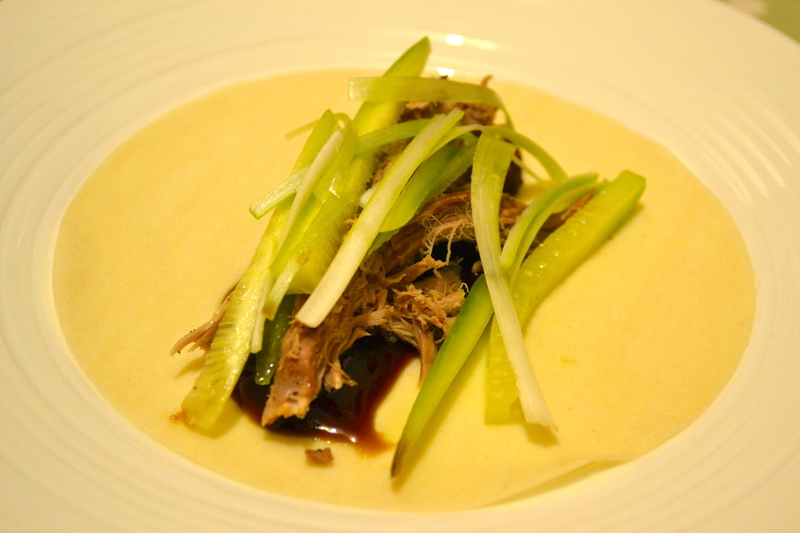 Anyway, once you’ve shredded your duck, all that remains is to pile it into pancakes with lashings of hoisin sauce, some matchstick cucumber and spring onions. Delicious. 1. Preheat the oven to 170°c/150°c fan/325°F/ gas mark 3. 2. Place your duck in a roasting tin (remove any giblets from inside) and slather the legs and breast in a good layer of 5 spice powder. Cook in the middle of the oven for 2.5 hours, draining off the fat and juices occasionally. 3. After 2.5 hours, if the skin isn’t looking very crispy, turn the oven up to 220°c/200°c fan and cook for a further 20-30 minutes until the skin has crisped up. 4. Remove from the oven and leave to rest for 10 minutes before shredding the meat using 2 forks. 5. Serve with the pancakes, cucumber, spring onions and hoisin sauce. One of my favourites too. Yum.